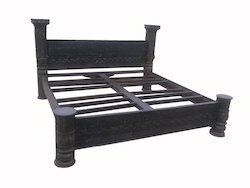 ALPA CORP offers a wide range of Beds, Daybeds king size, queen size, Californian king and Queen size, Carved, Designer, re purposed beds with Pillars for interiors. Beds are precisely done with extensive care to maintain sturdiness, knockdown designs are marked and the fixtures are properly checked. 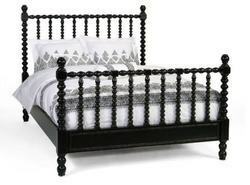 Traditional beds, modern design beds, contemporary beds, re-purposed vintage beds are also offered. With the important aid of imaginative group of our experts, we are putting forth an extensive variety of Wooden Poster Bed. Our offered Wooden Poster is exceedingly acknowledged for its peculiarities like strength, high solace level and unmatched quality. 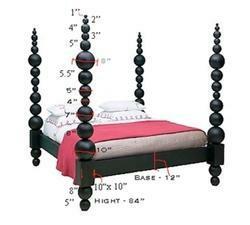 If Poster Bed is complicatedly planned utilizing high review wood (Indian rosewood or Indian teakwood). Besides, this trendy scope of couch is accessible in different altered alternatives like outlines and sizes, according to necessities of customers. 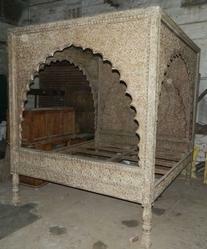 we are offering a wide range of Decorative Wooden Beds. 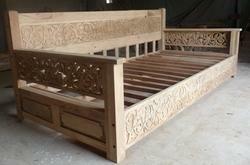 The bed can be customized as per the needs of our clients in terms of designs & sizes. 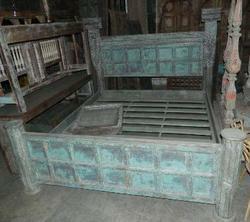 Owing to classy look and fine finish, our provided bed is widely demanded in the market. 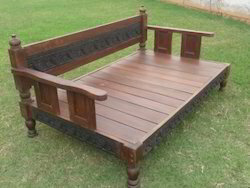 Symbolic to all the success that we have acquired in the industry, remains our status as prominent exporter, and supplier of Daybed Wooden Sofa for Home. 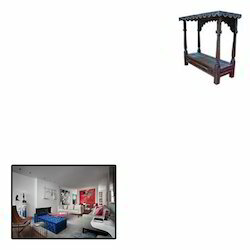 The provided wooden sofa is acclaimed for its impeccable design in the market. Offered wooden sofa is manufactured by vendors highly skilled professionals using finest material in accordance with the set norms. 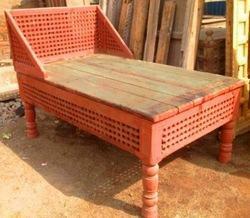 Our wooden sofa is available in numerous specifications as per the need of clients. 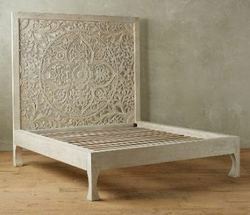 The intricately hand carved solid wood bed in white distress finish. 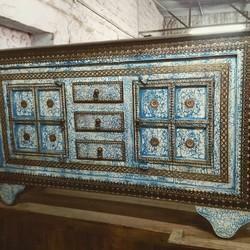 Customized dimensions and finishes are also available. 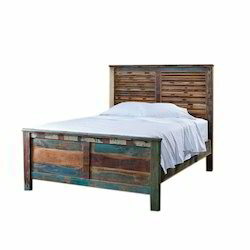 As per the variegated requirements of our clients, we are offering a broad collection of Reclaimed Wooden King & Queen Size Bed. 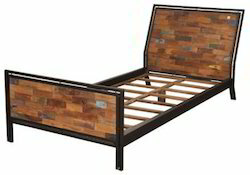 The offered bed is manufactured using most appropriate quality Reclaimed timber wood and modish technology in synchronization to international standards. 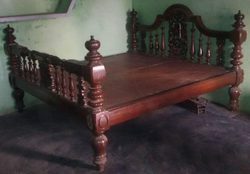 Highly demanded for its brilliant features, offered wooden bed give an elegant look to the bedroom and is well designed by our vendors team of highly skilled professionals. 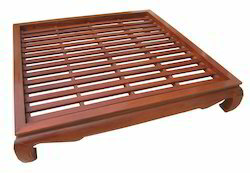 ALPA CORP offers wooden double beds in Solid wood. 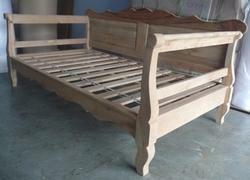 We offer beds in various designs, customized drawings and in rosewood, mangowood, teakwood. For more options in bed, write to us. 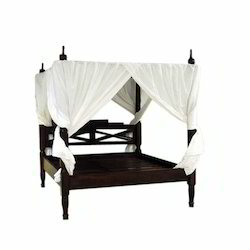 Looking for Beds & Daybeds ?